For quite some time now there have been rumblings that Nikon was about to embrace the hot camera trend of the moment and develop a brand new mirrorless system camera. Late last week those rumours bore fruit as the company announced the new Z system, compromising two full-frame mirrorless bodies - the Z6 & Z7 - and three lenses, all based on a brand new, fully electronic mount. We'll get into the nitty-gritty of the details in a mo, but firstly it's important to talk about what a huge step this is for Nikon, and how important it could be for the future of the company. For almost 60 years now, since the introduction of the original Nikon F in 1959, the company has continued to use the same basic mount for all of its top end cameras, be they film or digital. This has ensured an unprecedented level of continuity and backwards-compatibility between different lenses and bodies, but in recent years it's also clearly been holding the company back when it comes to cutting-edge development. Nikon has introduced new systems before now (such as the ill-fated Nikon 1 system and its CX lenses) but this is the first time it has put a new ecosystem toe to toe with the venerable F-Mount and its professional level equipment. In reality, this was really the only way Nikon could have gone. Though some speculation went around about the retention of the legacy F-Mount for unprecedented levels of support, I can't believe that was something ever truly considered by the R&D team. Not only would you inherit the limitations of the existing F system (no AF lenses faster than f/1.4 for example) but by having to match the rear-flange distance of the designed-for-SLR system you'd basically sacrifice all of the size advantages a mirrorless body gives you. With the new Z mount Nikon could ask its engineers to really push the boat out, and they've done that by making the diameter of the mount an enormous 55mm, while lowering the flange distance to a class leading 16mm. These are both important numbers, because the former means lenses can be faster than ever before (as we'll talking about in a bit) while the latter means almost any lens system should be able to be adapted to the new bodies. Speaking of those new bodies, Nikon has spared no expense there either. The Z7 is clearly designed to be the king of the mirrorless world, boasting a colossal 45.7 megapixel sensor (most likely a derivation of the D850's), in body stabilization, ultra high-res electronic viewfinder, and 493 phase detect focus points. Little brother Z6 meanwhile has to live with 'just' 24 megapixels and 273 focus points. Nikon's press releases put a strong emphasis on video - traditionally a mirrorless strength and a Nikon weakness - noting that both cameras will do 4K at 30fps, 1080p at 120fps and will support a new 'N-Log' profile for high-end videographers. 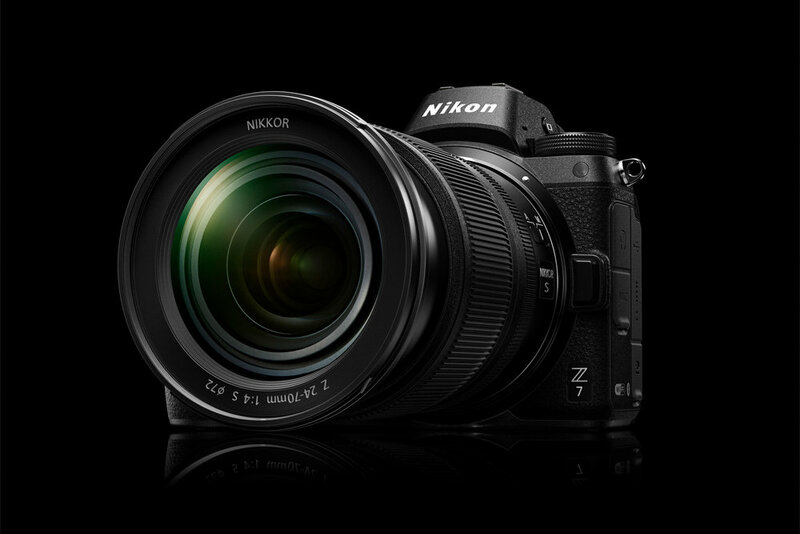 If it weren't clear from the impressive specs, Nikon is attempting to go straight from 0-100 here, targeting the high end enthusiast market that demands and can afford cutting edge technology - the Z6 will be US$1995, with the Z7 coming in at a mighty US$3399 (body only in both cases). That puts them squarely up against Sony, the reigning kings of full-frame mirrorless, whose Alpha 7 and Alpha 7 R bodies are pretty obviously the basis for these two Nikons. The Sony Alpha models have undergone rapid evolution across their three generations (no doubt aided by the enormous technological and financial muscle of their parent company) and have been widely credited as a key factor in making mirrorless palatable to the top-end prosumer world. So what's my take on this? As a long-time Nikon SLR user and working pro, these developments are both intriguing and potentially concerning for me. Let's get one thing straight first though - there's been a lot of talk of the new Z cameras' 'pro-level' ability and while the base technology is impressive, I'm not sure D5 and D850 users will be rushing to throw away their cameras just yet. While on-sensor phase detect autofocus has made huge leaps in the last few years, it's still not as reliable or tenacious as the traditional phase detect systems used in most SLRs, particularly Nikon's remarkable new 153-point system as seen in the D5/D850/D500. Hands on impressions also seem to suggest the new AF system isn't as programmable or powerful as the existing SLR setup, and that alone disqualifies them as serious wildlife or sports cameras. Event shooters will look on with interest, especially given the big loss in weight over traditional bodies, but the lack of dual card slots or battery grips (currently - one is in development) and limited lens selection mean this is a future possibility rather than a current one. Ultimately, it's the aforementioned lens selection which makes or breaks a camera, and Nikon is at a severe disadvantage here, with other mirrorless systems being mature ecosystems, fleshed out with a wide variety of choices. At launch Nikon will only offer three native lenses for the Z Mount - a general purpose 24-70mm f/4 zoom and a pair of f1.8 Primes at 35mm and 50mm. Those are solid picks for your first lenses, but there's no ultra-wide angle for landscapes, or long fast prime for portraits, or tilt-shift for architecture, or....you get the idea. Nikon has smartly developed an F-to-Z mount adaptor, which will launch alongside the cameras, but adapted lenses will never give quite the same performance native ones will, and you're giving up on the size and weight loss which made you go mirrorless in the first place. The flipside of this is that the new mount allows Nikon to delve into lenses that would never have been possible on the old F-Mount, and indeed one of the crown jewels of the Z reveal was the announcement that Nikon was developing a new 'Noct' lens. For those of you unfamiliar, the name has only ever been used on one lens before, the legendary 58mm f/1.2 Noct-Nikkor from 1977, a lens designed for pin-sharp astrophotography on film, and widely regarded as one of the greatest and most iconic lenses in history. The new Noct matches its forefather's unconventional 58mm focal length but manages to get speed up to a searing f/0.95, which would make it the fastest lens Nikon has ever built. 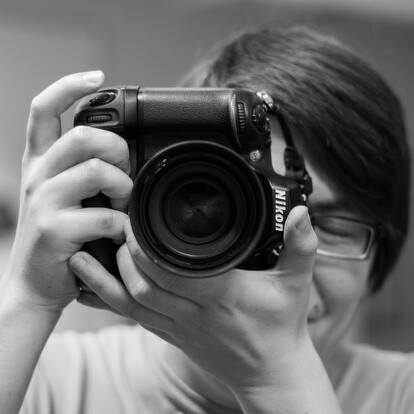 Even though it's manual focus only, it's a serious statement of technological intent by Nikon. Nikon were also smart enough to provide a pretty comprehensive lens roadmap alongside the announcement, detailing what's coming along in the next two years. 2019 will see the arrival of pro-workhorse f/2.8 zooms, along with wide angle primes and zooms, while 2020 sees some high-grade options arrive to round out the line. I don't agree with all of these choices - I'd rather see a solid telephoto option than three 50mm equiv. primes in three years for example - but it's important to reassure potential buyers Nikon is fully committed to the system, and this certainly looks like they're going to be putting in work on the lens front. It's a brave and forward looking move form Nikon, a company which has often been accused of dragging its heels in recent years. I'm not sure I'm entirely onboard with the concept though - I mostly looks to mirrorless systems to keep size and weight down, and by the time you get to full frame the difference between an SLR f/2.8 zoom and a mirrorless f/2.8 zoom is minimal at best. But that's speaking from someone who uses SLR systems for a living, so there's probably some unconscious bias there. It's my firm belief (and Nikon's too apparently) that the Z system and the F system can live alongside each other and share technology and advances back and forth, and if that's true then it's the best of both worlds for everyone involved. These cameras are not going to be huge sellers - they're very expensive and the market is limited - but they're an important move from Nikon, building a second pillar for the photographic business and hopefully ensuring its prosperity for years to come. For that reason, even if I'm not entirely convinced by the products themselves, I'm all in on the idea. Musings on the art and business of photography, reviews and thoughts on equipment and technique, and the occasional photo from off assignment. Z: The Future of Nikon?